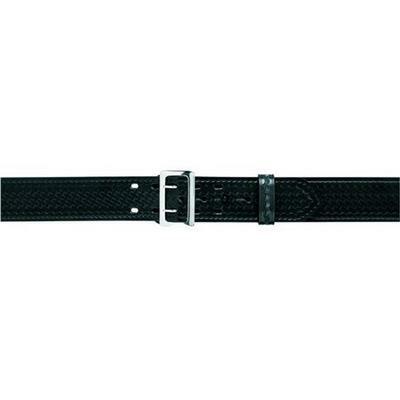 . . Standard duty belt with a suede lining . . Double-tongued buckle and center belt stud fastens belt firmly around the waist . . Free-sliding keeper holds the belt tip in place .